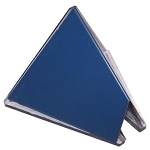 The Snow Defender PC240 plastic snow guard is designed for uses with flat valley metal roofing systems. 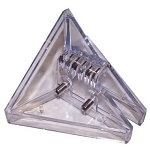 This snow guard is manufactured from polycarbonate. As with all of our clear plastic snow guards, this makes the Snow Defender PC240 all but invisible. 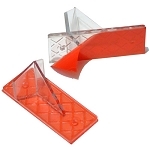 The base of the snow guard is manufactured with a slight texture to allow for a strong grip when installing. The plastic on the bottom of the snow guard is not smooth, allowing more contact areas with the adhesive increasing the strength and holding power. We recommend that you use SureBond SB-190 to install Snow Defender PC240 snow guards. 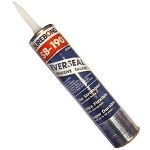 It takes about 1 tube of SureBond SB-190 for every 15 PC240 snow guards. No complaints--received what I expected with great quality. 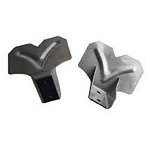 Q: Do these stand up through very cold weather if they are screwed down through steel roofing into plywood sheeting? A: "The cold has nothing to do with the strength on the PC240. Because of the voids in the plywood, I would suggest you use a #14 screw. 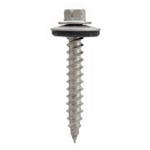 These screws will have better pull-out value and will do better in plywood. 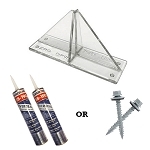 The ideal situation is to screw into a purlin when possible" (Levi's Building Components). Q: How much weight can this item withstand? A: The application for this product is different depending on the roof pitch and the ground snow load for your area. If you are wondering how many are needed for your roof I would refer you to Levi's Building Components snow guard calculator. Q: I have a rubber membrane roof on a flat dormer. I want to adhere a few plastic snow guards to it to prevent the rare ice chunk that destroys the gutters below. What do you recommend for this purpose? 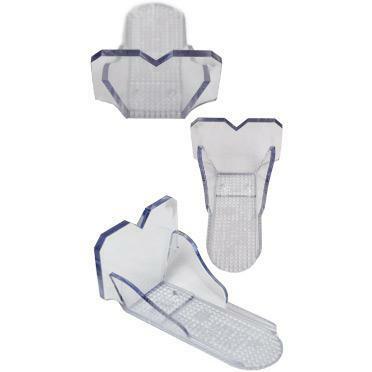 A: You would need a pad style snow guard with a large base. 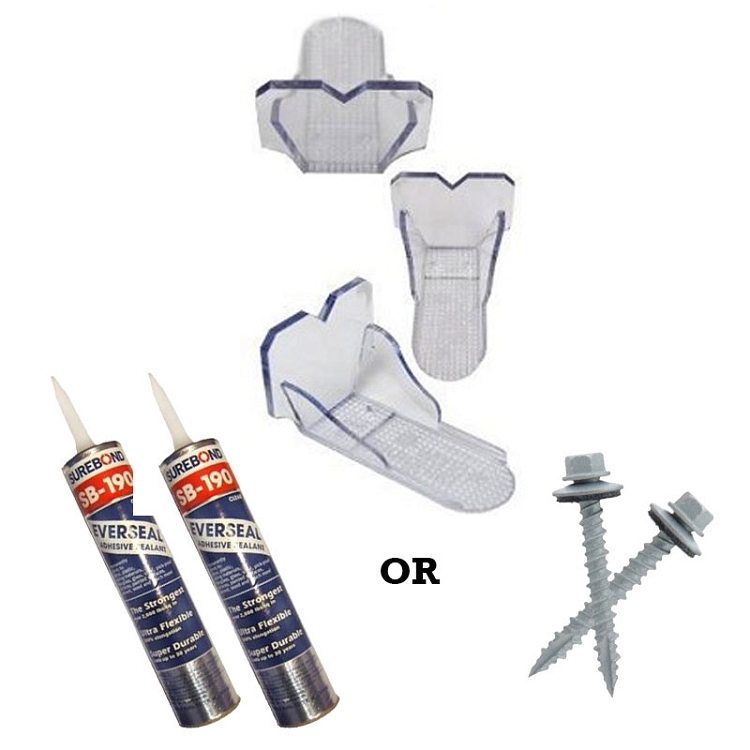 We recommend that you use the Panel Guard with M-1 or the Sno Gem Original with SurBond.